Hi and welcome on my blog! If you are reading this most probably a friend or relative sent you the link to it so we can have a chat about celiac disease. Please let me introduce myself. I am a food coach and have been on both sides of celiac disease. First my mom got it and I tried to understand all her strange behaviors – or at least I thought they were strange until a few years ago I got the diagnosis, too. That’s why it is important to me to help people coping with celiac disease as well as helping to understand it if you don’t have it – lucky you by the way! So, if you have invited someone with celiac disease to a dinner before, especially to Thanksgiving or any other big event, you might have encountered various reactions from that someone. Very often they bring their own food or eat before they come over or even don’t want to come at all. I know all this seems horribly rude! Why on earth would your child, sister, friend or whoever not eat the delicious food you made a great effort to cook? Just alone shopping for the ingredients was a nightmare and you cooked it with all your heart – and now that person rejects it? I know from first hand experience that this is really hurtful. It feels like they are rejecting you, as if they don’t like you anymore and don’t appreciate all the hard work and love you put into that meal. Let me get one thing clear: your friend or family member still loves you. Really! He or she does! 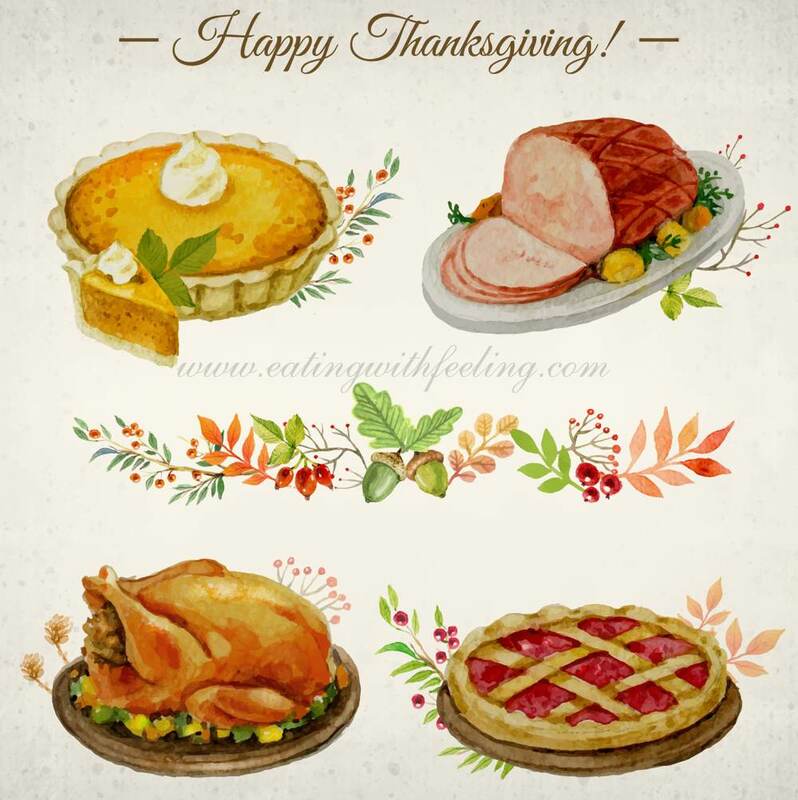 And he or she would love nothing more to eat that delicious smelling turkey and the stuffing, to taste the wonderful gravy and to indulge into the marvelous cake you baked. They wish they could have just a tiny bite of the wonderful fresh bread and take a sip of the beer you are offering them. But they can’t, we can’t! And it is breaking our hearts. That’s why people with celiac disease sometimes won’t accept the invitation. We don’t want to break your heart and don’t want to get our hearts broken. So why are we with celiac disease behaving seemingly rude? Simply because we are fighting for our health. I know it sounds incredibly silly when we say that only a tiny crumb will make us sick – this sounds like completely mad. Unfortunately it isn’t. It is the reality we with celiac disease live with, day in day out. One tiny crumb will destroy our small intestines with horrible consequences. Many of us simply get sick, some with bloating, some with diarrhea, some with vomiting. But that’s not all! Every time we eat gluten – even a tiny bit – our small intestine won’t be able to to its job! We can’t digest minerals, vitamins and trace elements for some time, we feel like having the flu, some get mood swings, get depressive or have sleeping problems. All this because of a crumb. And as if that wasn’t bad enough if we eat gluten more often the chances of developing bowel cancer rise signifikant. There are some people with celiac disease who strangely don’t show any reactions at all. But science and medicine has shown that the damage of the small intestine does happen, too! They just don’t feel it, but the consequences are the same. One last word about cooking gluten free: we really do appreciate if you offer to cook a gluten free version of the meal. But it is really difficult to avoid contamination in the kitchen, as you need to keep everything separated and can’t use your hand mixer, your plastic bowls, your wooden spoons etc. That’s why people with celiac disease often don’t accept that offer – it is simply too risky. And we don’t think your kitchen is dirty or anything like that. We just know how difficult it is to make the kitchen celiac safe. We still love to get invited to your dinners but please don’t mind us bringing our own food. We are used to that and will still enjoy your company and the atmosphere. And if you have a cool bottle of certified gluten free beer or gluten free cookies then we are over the moon! Dieser Blogeintrag wurde eingetragen in: Celiac Disease, In English - Stichwörter: celiac disease, family dinner, gluten free, thanksgiving. Bookmark setzen hier!.